Chicago White Sox home-game announcers Jason Benetti and Steve Stone are one of the better tandems in the game right now—funny, informative, and straight with viewers about just what it is they’re watching without being so straight it becomes depressing. 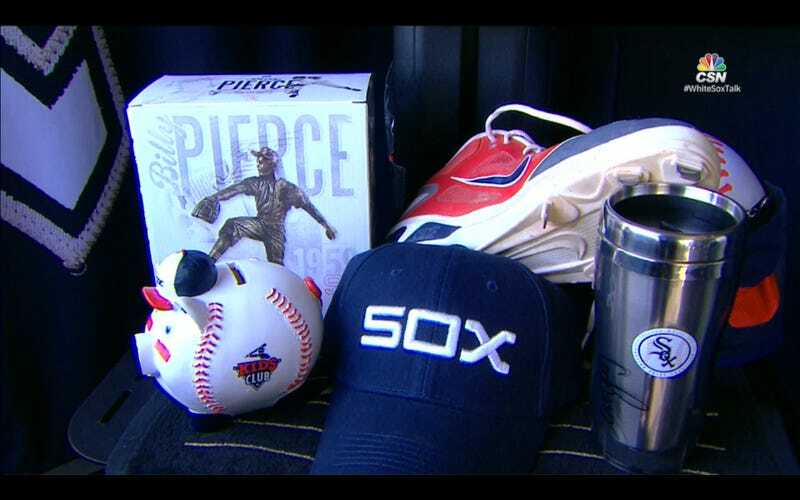 You get the sense that takes some work at times, as when they promoted the team’s #SoxMath social-media competition by sitting in the announce booth with prizes including a used shoe that once belonged to Gordon Beckham. Stone looked at and spoke about the artifact with clear bewilderment. Beckham hit .242/.304/.370 in two stints with the South Siders. He remains inexplicably popular (at least going by the number of shirseys with his name on them you can see at Sox Park), which perhaps explains why his shoe is being offered as a reward.